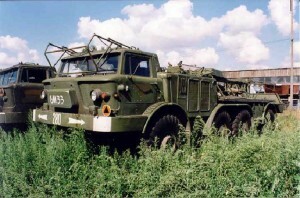 Giant four axle military lorry produced in Soviet Union till 1966. 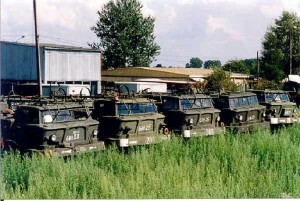 Vehicle used by most of the Soviet block countries (that includes Poland). ZIL 135 is powered by 2 (yes two!) Ural 375 V8 petrol engines. First one to develop power for the left four wheels and the other for the right four wheels. Each of them have capacity of 6.9 litre and develops 180 hp. Top speed of this vehicle is as much as 65 km/h. Fuel consumption of this gigantic 10 meters long machine is about 100l/100km and range on single fuel tank is about 400-700 km depends on cargo type. In Polish Army ZIL 135 was used as a mobile rocket launcher better known as “LUNA-M-set” or “Tactical Rocket Set 9K52”. 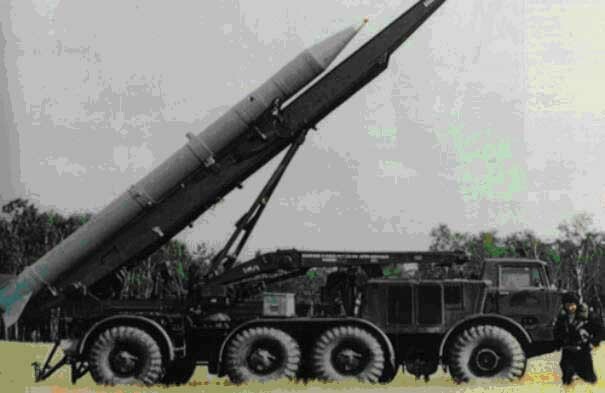 It’s main purpose was to fire set of 9M21F(K) rockets in range up to 68 km. This heavy wheeled truck was able to work in really rough terrain. 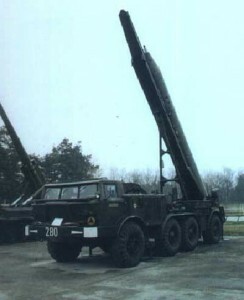 Two middle axles were located close together in the centre of the vehicle, the first and fourth axle were placed separately at the front and rear. These axles were steerable to increase maneuverability of this colossus. 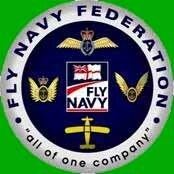 Vehicle was fitted with tires sized 16.00-20 " and central inflation system, which also increased it’s traction abilities. alpha pharma steroids buy today!